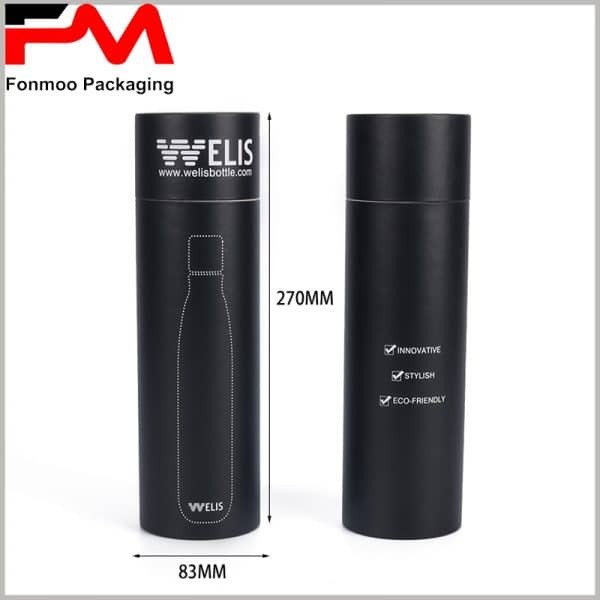 Bottles are commonly used in our daily life to contain liquids, when you get bottles as products, you will be needing this black cardboard tubes bottle packaging box to give them more added value and protection. 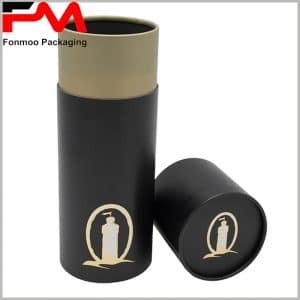 This tube box is quite of high end, it uses a tube made by 350g SBS to realize a thickness of 1.2mm, very solid and firm, on the inner side, it’s covered with a layer of aluminum to protect the product against moisture and oxygen. This model shows an outcome of CMYK printing technic, with outside surface totally covered by printed pattern and logo. 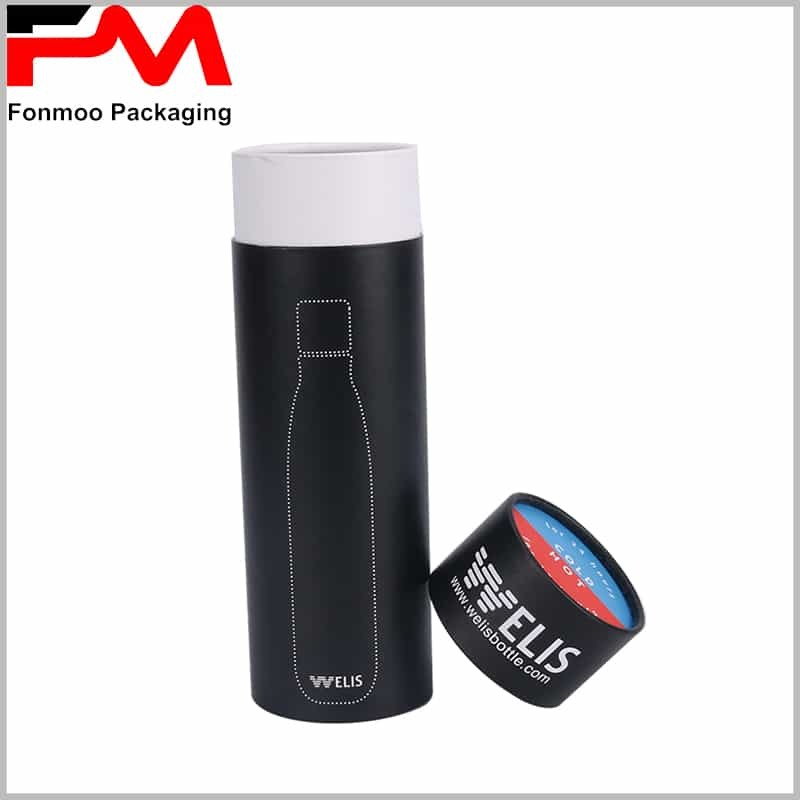 You can print everything, LOGO, slogan, image, web address, QR code with high resolution. 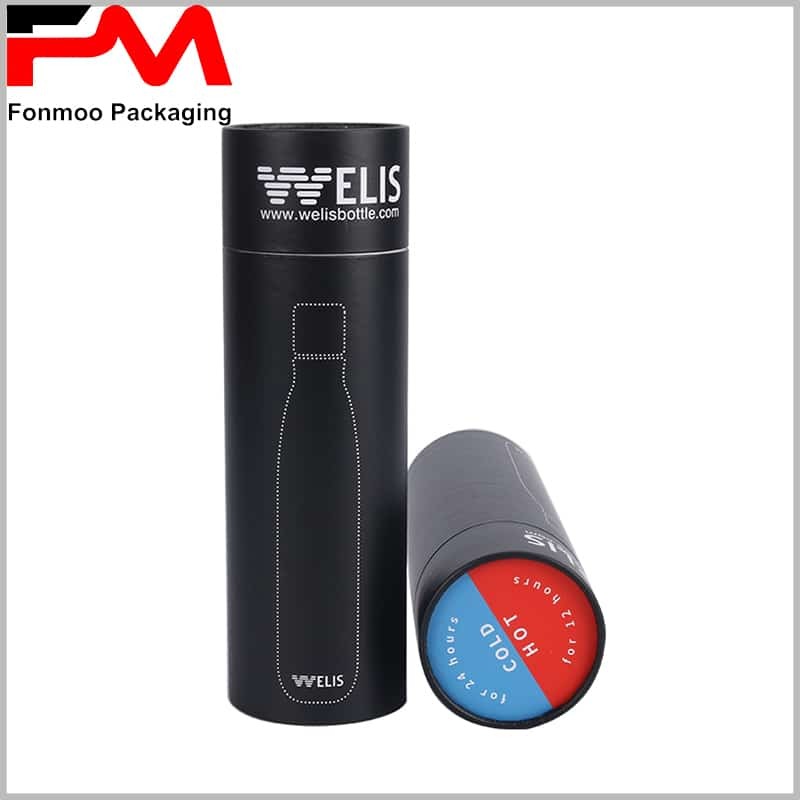 This package can be used in a wide range for many bottles, bottle for water, wine or drink, all according to needs. 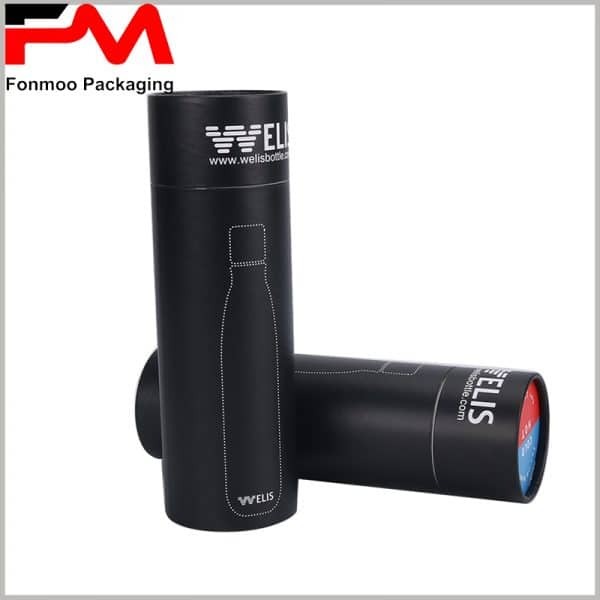 Just contact us and tell us your demand, you will get your most suitable tube packaging box for bottle like this. 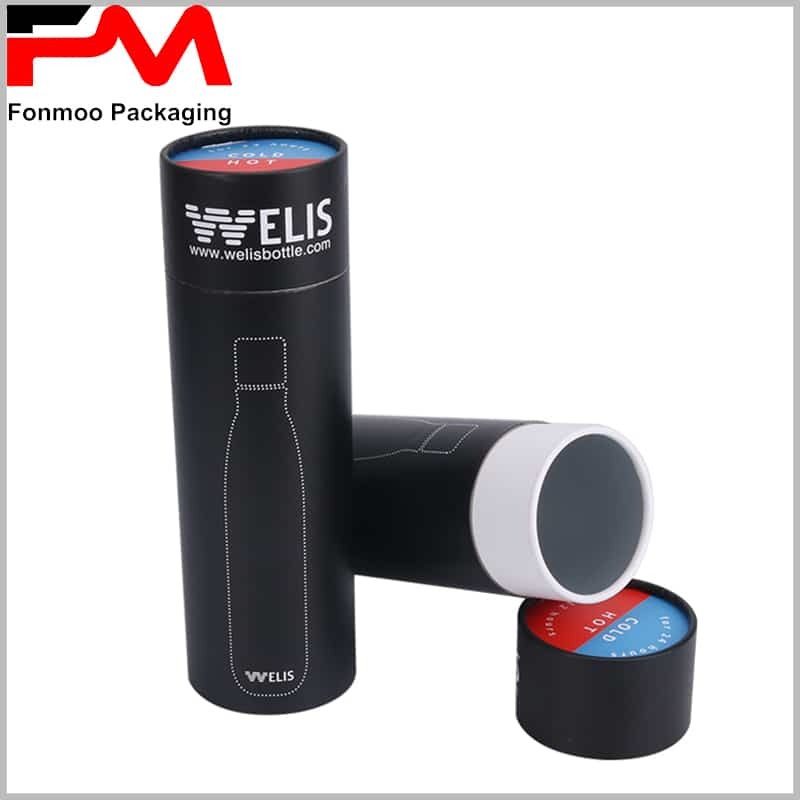 Black tube bottle cardboard packaging box, can give your bottle products more added value and protection. 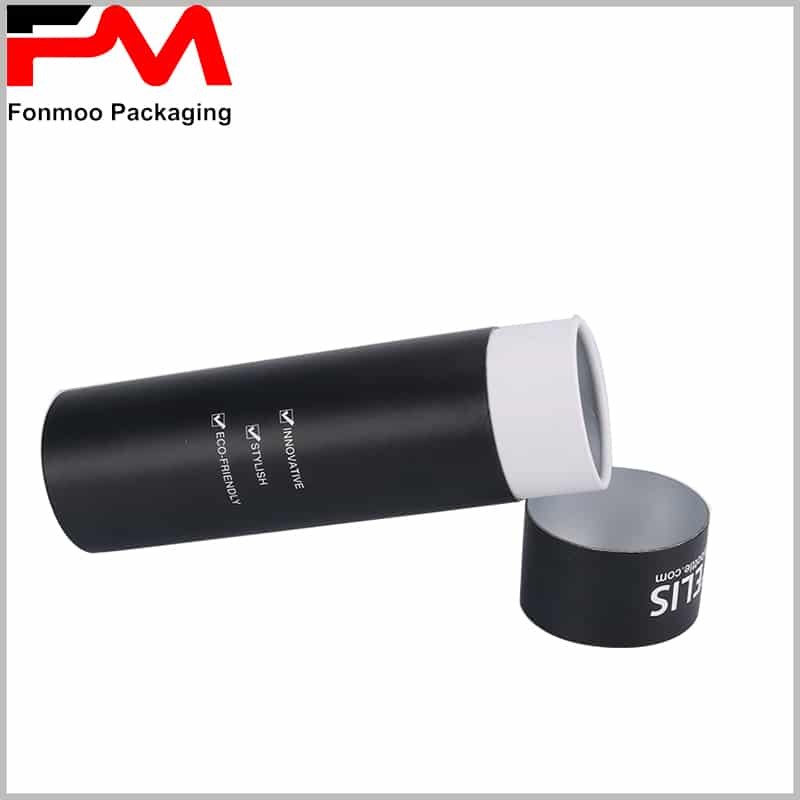 Tube is made by 350g SBS to realize a thickness of 1.2mm, inner side is covered with a layer of aluminum to protect the product against moisture and oxygen. 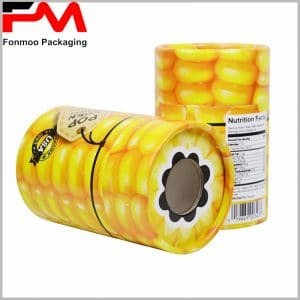 CMYK printing technic for LOGO, slogan, image, web address, QR code with high resolution.